The face of health insurance coverage in America is changing. While much of the attention has focused on individual Americans and the quality or extent of their coverage, Healthcare Information Services is concerned with highlighting the health insurance changes that impact the revenue cycle of our clients. Each time there is a health insurance update or change in coverage, hospital and clinic revenue cycles can be disrupted if proper protocols aren't in place to handle updates and changes. 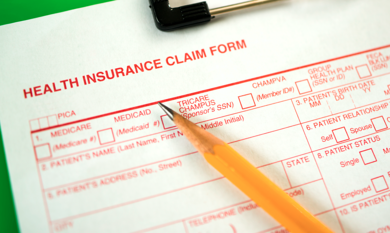 The biggest change the healthcare industry will see is a variety of individuals with coverage. Rather than continuing to face declining revenues as patients without the ability to pay come through the doors, practices will see more people full or partial coverage seeking out treatment. Many of these new patients have plans purchased through state or federal healthcare exchanges under the Affordable Care Act (ACA). As for the overall reimbursement process, one of the biggest financial changes has been the shift in out-of-pocket charges. The ACA and other exchanges follow a rising trend in higher out-of-pocket charges for Americans, which forces clinics and hospitals to rethink payment policies. First and foremost, let's look at those rising out-of-pocket charges. USA Today found that while premium charges may be fluctuating, out-of-pocket expenses for copays, deductibles, and other cost sharing in insurance are rising fast in 2016. Federal exchanges cover 38 states in the US, and while most plans saw deductibles rise just a few hundred dollars, some saw increases in the thousands. The second-lowest plan in the exchange saw a 6.3% increase in out-of-pocket costs, with an average increase across the board of 5% compared to 2015. Another change to health insurance is coverage for telemedicine. As noted in Kiplinger, nearly two-thirds of employers it surveyed plan to offer telemedicine options to employees. The changing insurance landscape impacts the management of your company's revenue cycle. With millions of Americans having improved health insurance coverage, some for the first time, there are hurdles that will trip up your revenue cycle. Proper software systems to manage your revenue cycle are critical, especially in the face of the telemedicine boom. When a patient walks into a physical office, your employees view an insurance card and collect copayments on the spot. Without that physical connection, how do you appropriately collect copays and determine which rendered services exceed coverage and require billing? Our goal at HIS is to help your practice stay ahead of these issues. With services to help improve everything from coding and billing to collections and reimbursement, we can help your healthcare facility adapt to these health insurance changes and updates so you maintain a strong revenue cycle, and can focus on the job of healing.